Friday 30 October 2009, 19.00-21.00, The Ratiu Foundation / Romanian Cultural Centre Manchester Square, 18 Fitzhardinge Street, London W1H 6EQ; Tel. 020 7486 0295, ext 108; e-mail: bookings@romanianculturalcentre.org.uk; Entry is free but booking is essential. Moderator: Ramona Mitrica, Director of the Ratiu Foundation / Romanian Cultural Centre in London Following its successful participation at the Dublin Fringe Festival, �Elevator� comes to London. Part of the Culture Power series of talks, seminars and presentations initiated by the Ratiu Foundation, the event features a rehearsed reading of the play, followed by a discussion with the playwright, Gabriel Pintilei. Inspired by a real-life story, �Elevator� won a new writing competition and was subsequently followed by successful mountings both in its native Romania as well as abroad. Currently, its award-winning film version is touring venues worldwide. The first from a series of plays which aim to bring Romanian new writing into British mainstream production, the original stage script has been translated by actress and producer Cristina Catalina and developed further with the help of director Rachel Parish, aimed to lead to a full production in spring 2010. 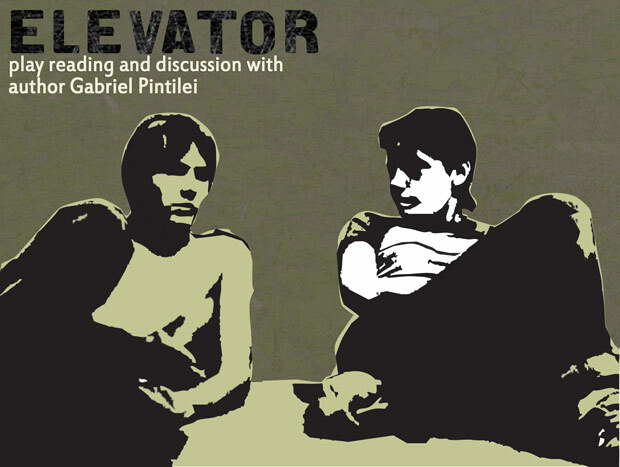 �Elevator� is a moving two-hander about two young people who get trapped in the lift of an abandoned building. Caught in the trap of their own romantic intention to escape reality, the protagonists run through the gamut of human interaction as they wait longer and longer to be rescued. Their relationship goes from being superficial, to violent and to tender and simple as they try to come to grips with their increasingly dangerous situation. Gabriel Pintilei, writer: Award winning actor, director, choreographer, playwright and screenwriter form Romania. His script Elevator won Best New Romanian Play at the Romanian Dramaturgy Festival 2007 in Timisoara. He currently conducts most of his activities at the Odeon Theatre in Bucharest and is attending the 5th European Psychoanalytic Film Festival in London with Elevator, the film. Jessica Clark, actor: Graduated from Hull University and was previously a member of the National Youth Theatre. Theatre includes You Beautiful Ewe (Roundhouse Theatre), and Camp Horror (Cockpit Theatre). TV & film: Silent Witness, In Search of the Brontes (BBC). Ryan Sampson, actor: Theatre: Dido � Queen of Carthage, DNA, The Miracle (National Theatre), Monsieur Ibrahim and the Flowers of the Quran (Bush Theatre), Richard II and Richard III (Sheffield Crucible Theatre). TV & film: After You�ve Gone (series regular), Doctor Who, (BBC), Wire in the Blood II (ITV). Rachel Parish, director: Artistic Director of Firehouse Creative Productions and director-in-residence for Three Bird Theatre, she has directed at fringe and off west end venues across London and UK, including Confessions at Edinburgh, The Silents at The Albany and Love and Money for the Young Vic Shorts. She has conducted performance research in USA, Canada and West Africa. Organised by The Ratiu Foundation / Romanian Cultural Centre in London www.ratiufamilyfoundation.com; www.romanianculturalcentre.org.uk The presence of writer Gabriel Pintilei in London has been made possible with the support of the Romanian Cultural Institute. Culture Power is a programme initiated by the Ratiu Foundation, consisting of a number of presentations and constructive dialogue with an invited audience.